Some of the finest singers, songwriters and musicians just get better with the passing of time. Kevin Welch is such an artist, one who has never released a recording that is anything less than sublime and in doing so continues to raise a creative bar that he somehow manages to surpass with each new album. Welch constantly delivers a lyrical, emotive and insightful voice that stands proudly alongside the work of the likes of Rodney Crowell, Gillian Welch, Joe Ely, John Prine, and Emmylou Harris. Eight years since the release of his last album, Patch of Blue Sky, Welch assembled some of the world’s finest musicians and returned to the studio in Nashville to make his astonishing new record, Dust Devil. Featuring ten original songs, Welch’s words expertly guide the listener through life, loss and redemption. 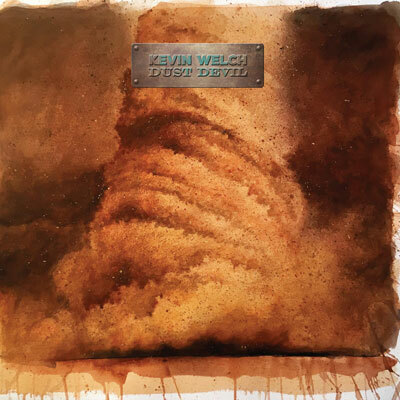 With Dust Devil, Welch continues a successful career spanning over four decades as a recording artist and producer. As a masterful writer he has written songs for such iconic artists as Roger Miller, Waylon Jennings, The Highwaymen, Solomon Burke, Linda Ronstadt, Patty Loveless, and many others. Most recently Grammy-Award winner, Chris Stapleton, released a version of Welch’s MILLIONAIRE that went to number #1 on iTunes in its first week of release. Releasing a dozen records over the years, most for Dead Reckoning Records, the label he co- founded in Nashville in the mid 90s, Welch’s music has carried him around the planet, earning him deep respect in the musical community and fans from every walk of life, including the former President of the United States, Barack Obama. Kane Welch Kaplin: Live at the Bluebird Available! Songwriters Workshop with Kevin Welch!